Winter Blues: Do I Have Seasonal Affective Disorder? A brooch is usually identified as a pin but a brooch is different from a pin. A brooch is a jewelry item that is used for aesthetic purposes. It was known as fibula in ancient times as early as the Bronze age era. They are usually made of metal materials such as enamel and cloisonné and may also include high precious ones such as bronze, silver, and gold. They usually have gemstones or enamel decorations to enhance the ornamental value of it aside from being used as a fastener for garments. A brooch is also a pin but not all pins are considered brooches. 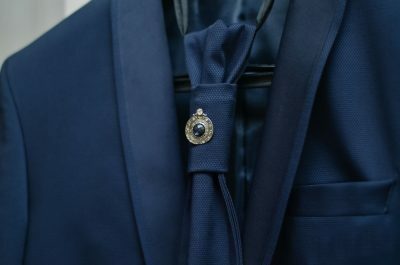 A pin can be worn anywhere on any attire such as in the center of a necktie; or can be pinned on the lapel of any jacket or suit, and it can also be a decoration used to signify military statuses such as ranks and awards. The other significant difference between a brooch and a pin is that the former does have clips for attaching purposes. Usually, brooches have more designs and mostly bigger in size than a pin. A brooch also has a more artistic value which is specially designed by some famous brooch makers such as Marcel Boucher, who usually designed brooches with abstract animal elements, and also Ann Hand, who create nationalistic brooches specifically for political figures. Most men nowadays wear brooches, especially popular icon figures, and you can see them on television shows, concerts, and red carpet events. These are especially true with the likes of Elton John who are often seen wearing a Chopard brooch made of South Sea pearl, pink sapphires, and diamonds. David Beckham is also a user of a brooch and can be seen wearing a ship’s wheel or a crown style. Pharrell Williams is another trendsetter when it comes to using brooches especially when he was seen on a past Oscar event wearing a Pluie de Camélia brooch dazzling with diamonds and pearls. It was truly an instant credible style for an old-fashioned piece of jewelry. A brooch adds an appeal for a more versatile and expressive trendy style. 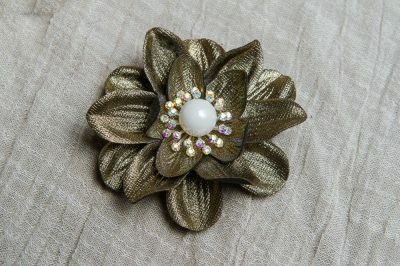 You can just use your imagination on what type of brooch you will use because there are many types of brooches for men. You do not need to be an art-lover and an antique collector to wear a brooch. Wearing a brooch will improve your appearance as well as add confidence to your outlook when you are attending parties or any special events. As mentioned previously, there are many types of brooches to choose from and you can use any of these types. Antique brooches are so-called because of its archaic appearance. It can have prehistoric designs which may include animals, people, and other casted forms and usually engraved on iron or bronze metal materials. It has four parts, namely body, pin, hinge, and spring. If you want a classic and sophisticated look, you may want to use this type of brooch. Another type of brooch is the Celtic brooch which is usually made of highly-precious metals inspired by temporal arts. This brooch usually has a long pin feature which is attached by its head to a ring and can be moved easily throughout the ring which can be open or close. This brooch has an Irish touch on it which usually has bright tones which are passed through the cloth and passed over the ring to fasten your cloth. The Tie Hub brooch is usually smaller in size and made of mostly of copper and iron with small gemstones on it. This type of brooch will have a smarter marking on any formal attire. It normally has a button-pin style with the pin passing through the lapel and fastened up with the button under the lapel cloth. You can also choose this type of brooch if you are attending an office meeting. The main difference of the Chain brooch among the other type of brooches is that it has an attractive chain on it, literally, hence the name. It has a royal look on it since this brooch is common among Indo-Western culture. The end of the chains is dazzling with precious stones with different shapes designed with great perfection. These brooches are usually suited for engagements, wedding events, or any religious ceremonies. The lapel pin is a type of brooch that is badge-like in its appearance and is typically worn on a suit or jacket lapel. They are also made with a button-knit system with sharp pins attached on the back of the body and passed through the lapel and then closed at the end. This is predominant with a member of any association signifying their ideas as an organization. The Vintage brooch reveals the predominant designs of a period and place. This is the most versatile type of brooch which shows a vintage feel for any man. It can be made up of stones dazzling on it or it can be engraved with special characters on the metal material. It can also be made up of plastic or heavily designed with a gold-plated diamond brooch making it the best choice for any black-tie parties or any dazzling affair. This type of brooch also has the same mechanism that includes a hinge, pin, spring, and a patterned body. There is no specific rule but there is a maxim that says “Jewelry on the left, name tag on the right” which is usually taught to teens to always remember where to put that precious name tags, I mean, pieces of jewelry. 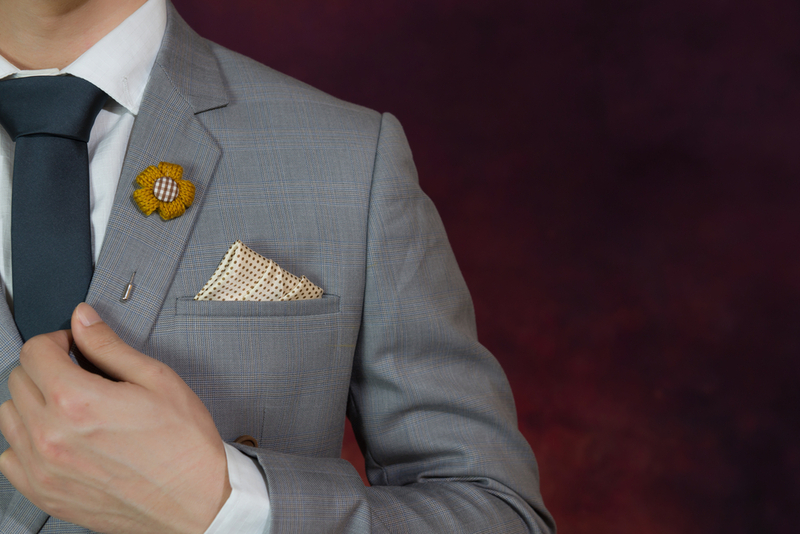 A brooch is typically worn on the left side of your chest for the reason that you usually shake hands using your right hand so that your precious jewelry, the brooch, will be out of the way. This is mostly true if you shake hands with someone and lean yourself for a little peck on the cheek thereby no jewelry will be poking that someone’s shoulder or else, it will hurt so much. Plus the mere fact that our eyes when greeting someone may be drawn to the left part of another person hence, we will be attracted on the brooch side which will, in turn, may lead to a starting point for a casual or the usual conversation. For less informal events, you can put your brooches at the center especially if you have a button neck which you do not want to show. 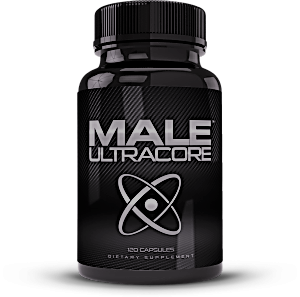 So long as you want to magnify your style with a whole new look of sophistication and modern masculinity, you can wear it on any side. Just don’t put it on your back.